NASHUA- Irene B. 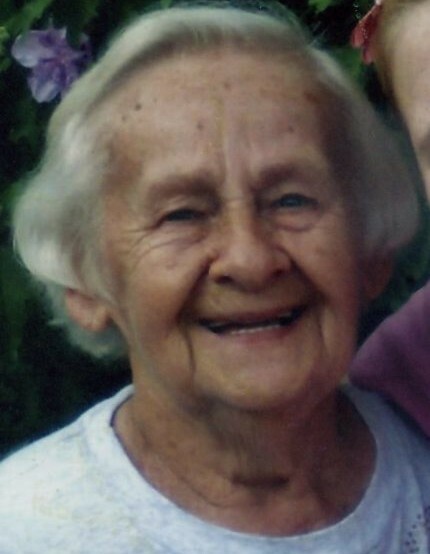 (Allison) Leonard, 85, a longtime resident of Nashua, died peacefully Sunday morning, March 24, 2019 at Greenbriar Nursing Home, Nashua. Irene was the beloved wife of the late Norman F. Leonard who predeceased her on March 30, 1995. Irene was born in Lowell, MA and was the daughter of the late William J. Allison Jr. and Alice M. (Bigos) Allison. For many years, she was employed as a sales clerk for Lavoie’s Greenhouse and Stand. In her free time, Irene was a long-time member and former president of the St. Stanislaus Ladies Guild. When the church merged with St. Louis de Gonzague, she continued to serve her new parish as a faithful and active parishioner. In her free time, Irene enjoyed needlepoint, sewing, knitting, and other crafts. Above all, she enjoyed spending time with her family and friends and was always willing to lend a helping hand. She is survived by her daughter Deborah Farmer and her husband Bernard of Williamsburg, Virginia and her son Michael Leonard of Nashua; two grandchildren Jessica Leonard and Katherine Farmer; her great-granddaughter, Elizabeth June Leonard; her sisters-in-law, Jean Boucher of Nashua and Irene St. Germain of Nashua; her brother-in-law David Leonard of Nashua; as well as her special cousins Eleanor Janeczko of Lowell, MA and several nieces, nephews, and cousin. Irene was predeceased by her granddaughter, Alison Farmer, her brother William “Billy” J. Allison III, her sister-in-law, Sandra Guerette, her brother-in-law Dennis Leonard and her mother-in-law, Rita Leonard. Relatives and friends are invited to ANCTIL-ROCHETTE & SON FUNERAL HOME, 21 Kinsley Street, Nashua on WEDNESDAY, March 27th from 9:30 until 10:30 AM. Her Funeral Mass will follow at 11 AM in St. Louis de Gonzague Church, 48 W Hollis Street, Nashua. Burial will take place at a later date in St. Stanislaus Cemetery, Nashua. In lieu of flowers, donations may be made in Irene’s name to charity of your choice.